Even after all these years, I still get a tingle of excitement every time I get into a Porsche 996 Turbo. I remember these cars being new and the height of desirability and offering unbeatable performance. Today, in my mind, they are just as desirable and the performance remains breathtaking. And now they have become so affordable that they really do offer unparalleled value for money, especially when you look at the car’s performance and handling capabilities. The 996 Turbo is a supercar that anyone can jump into and drive, whether to the local shops or the south of France. It’s supremely practical, easy to use and, above all, forgiving. You’d have to be doing something really stupid to get into trouble with a 996 Turbo, with its four-wheel drive and Porsche Stability Management. There is, though, something that can get into trouble and that’s your wallet. As 996 Turbos have dropped in price, there are some on the market that haven’t been properly maintained and that can lead to big bills for the unsuspecting buyer. That’s why I’m always very choosey about which ones I stock. This example is great news because it’s had all the front radiators and condensers replaced (damp leaves and muck gets caught inside the front bumper causing these items to corrode away). It’s also had two new turbochargers, another potential weak point of these cars. In other words, it’s a well sorted example and that’s what I like to see. 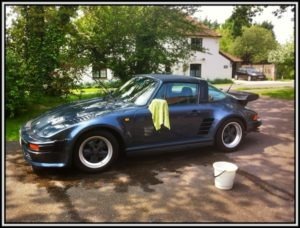 @RabyPorsche ah, my mistake, ref earlier “too fast” discussion, I thought that was the GT2! 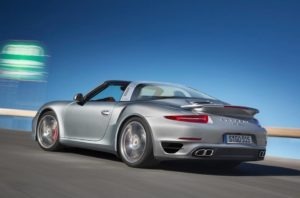 Will there be a Porsche 991 Turbo Targa?